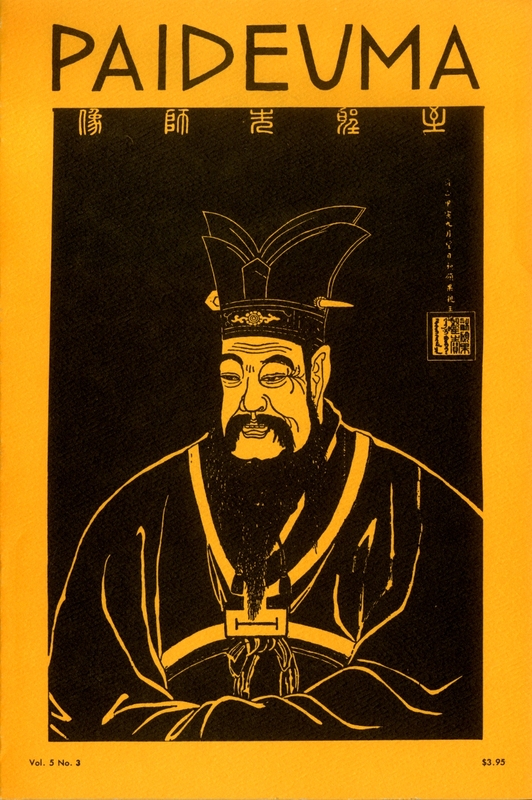 This cover is a Manchu period image of Confucius, from an engraving on a stele in the Pei Lin, Sianfu, Shensi. 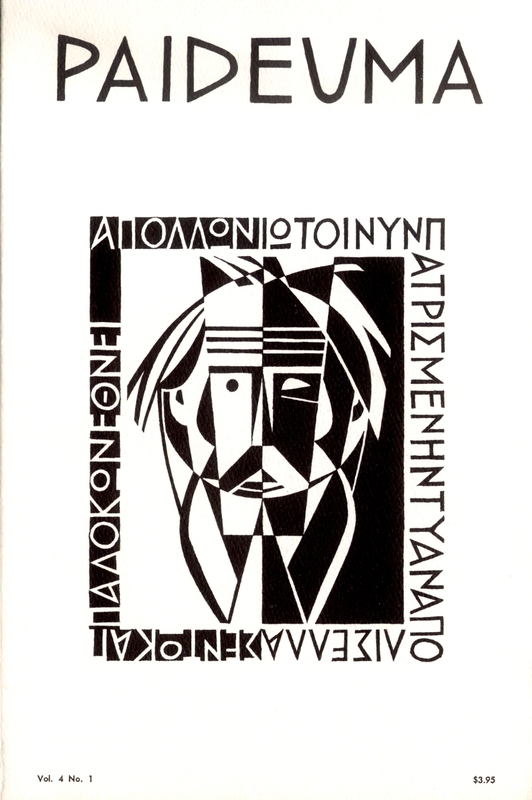 This cover is of a monastic craftsman making books. 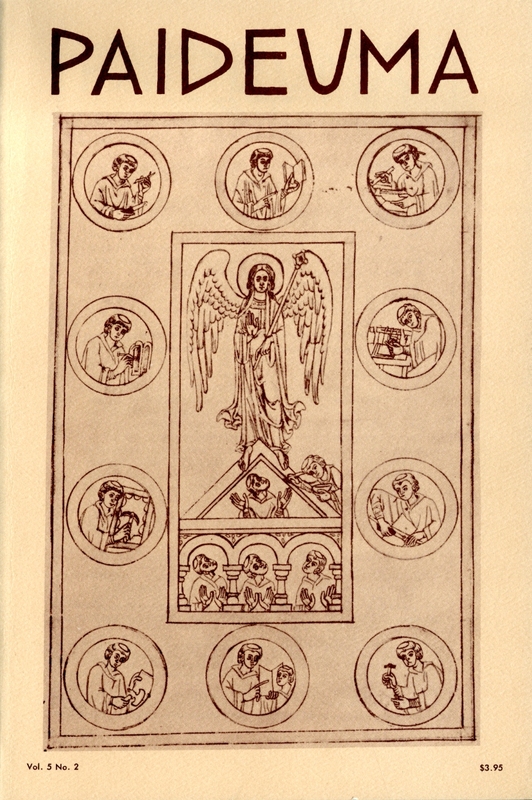 The first stage in the manufacture of a book is shown on the left, in the second circle from the bottom, where a monk is preparing parchment. In the scene opposite he cuts the skin to size. The next part of the process is illustrated in the top left-hand circle, where a monk is cutting his pen from a goosefeather, and in the top right-hand one he has finished writing, placing the pen out of the way behind his ear, and is busy painting the manuscript. The monk below is binding the book, and the two to the left and right at the bottom are making the covers and metal clasps to hold it shut. In the center another monk proudly thrusts the finished book out beyond the frame of the medallion, and in the center at the bottom the volume can be seen in use. The remaining circle shows an artist at work on a diptych. In the central panel another paints an architectural structure, perhaps a shrine. The Archangel Michael, the patron saint of the abbey of Michelsberg, where this drawing was probably made, presides over all activity. 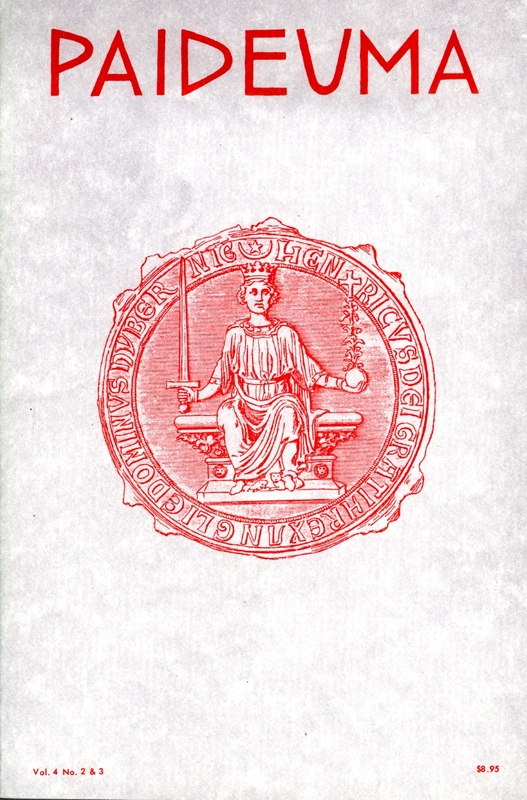 The drawing dates from the first half of the twelfth century. 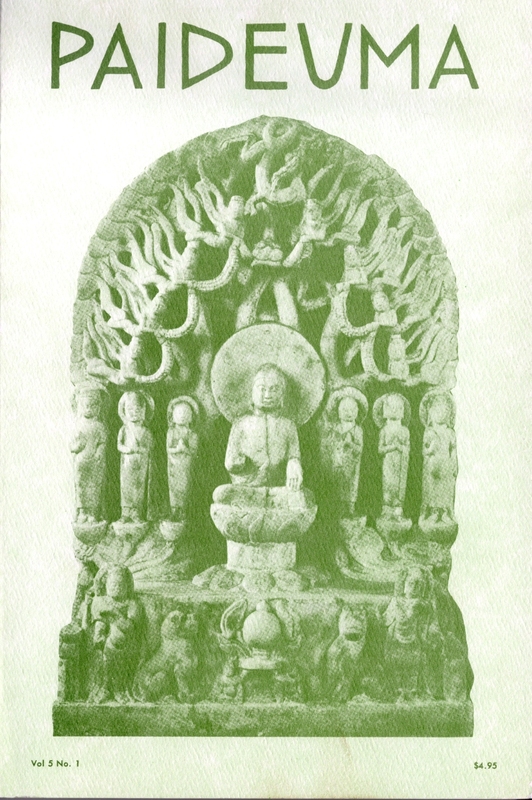 The cover depicts Sakyamuni in the act of preaching. Sakyamuni is seated on a Lotus Throne under the bodhi tree. Flanking him are his four disciples and two Bodhisattvas. 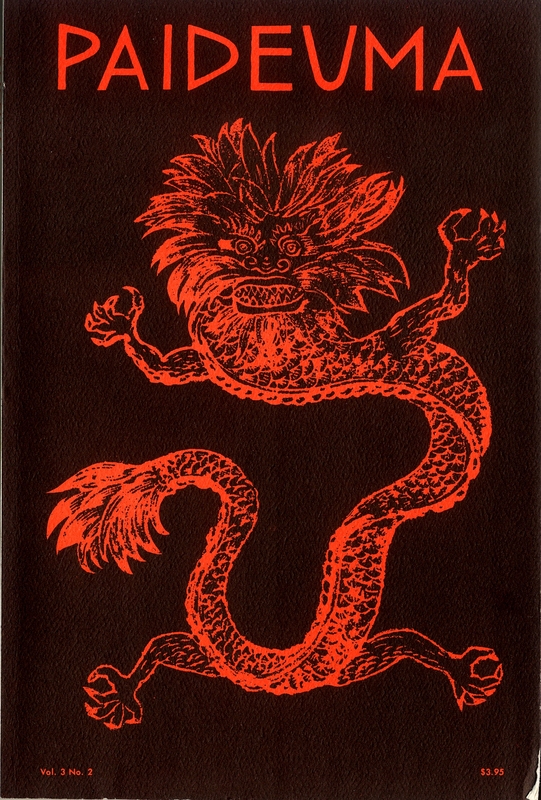 On top is the celestial dragon. Beneath the Lotus Throne is a rectangular stone platform in the middle of which are two boys offering incence with an upheld censer. 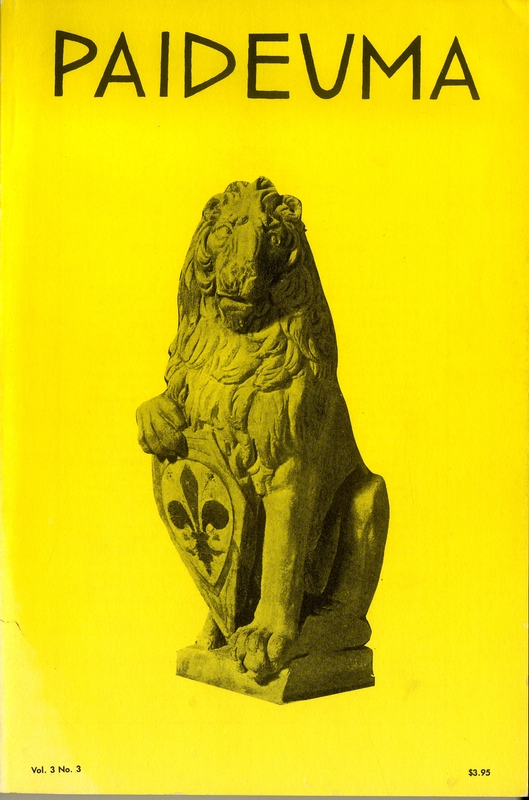 On each side is a guardian and a lion.